Hydro Clay is a German made, premium quality substrate consisting of spheres of expanded clay, which provide inert structural support for plant roots in hydroponic systems. The consistently round shape (8-16mm) provides a high degree of aeration, which ensures extremely quick drainage and unimpeded root growth. The clay balls are also less susceptible to pest and disease than other solid substrates. Hydro Clay is an ideal substrate to provide structural support and ensure the efficient drainage of liquid during plant growth. Nutrifield Hydro Clay has a large particle size and is highly porous, which helps to achieve an extremely high degree of aeration throughout the substrate. In addition, the clay balls don’t retain liquid, achieving near complete drainage. This makes hydro clay an ideal substrate for continuous feeding systems. 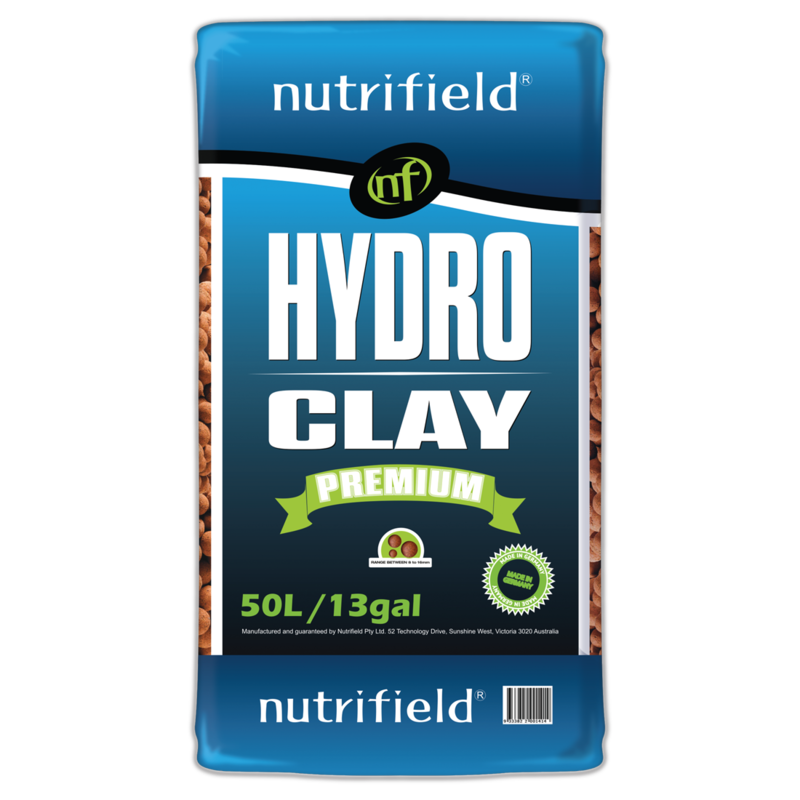 Nutrifield Hydro Clay is incredibly versatile and can be used as a stand-alone substrate, blended with other substrates, or to line the bottom of a pot to increase drainage. When used on top of other substrates, Nutrifield Hydro Clay can reduce the presence of algae, fungus gnats and prevent unwanted weeds on the surface by keeping the top of the substrate dry.